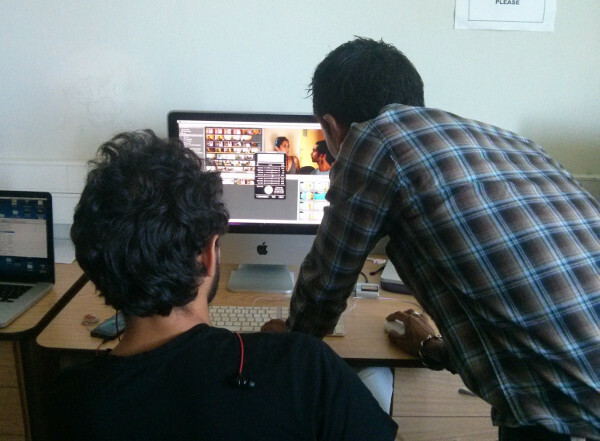 Thursday was the day of shooting for all the participants based on the story ideas they had worked on. I had also made up my mind to make a short movie too but unfortunately, that was not possible as I had to stay home with my sick daughter. The idea was to make a short film using only 5 shots with no discernible dialogue but including sound design (music and/or contextual noise). The organisers of the film festival Île Courts, Porteurs d’Images, brought over 4 very able actors (2 men and 2 women). Students on campus were also spontaneously asked to be the extras when needed. The scenes were all shot on campus using Tim Skousen’s DSLR and one from Porteurs d’Images (one participant used his iPhone too). They also used tripods from our Mediacom Studio. 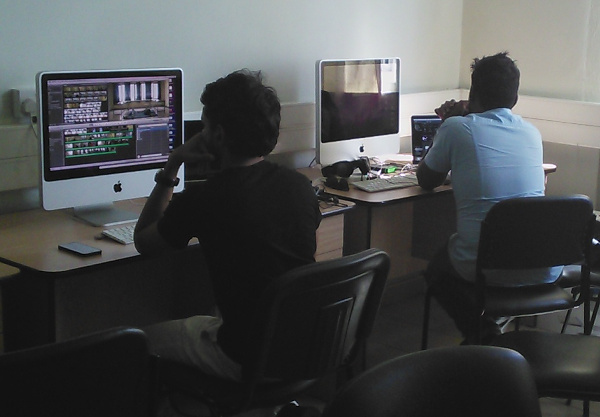 On Day 5 (final day), I was able to come back to the workshop and we all moved to our Mediacom Studio to use the iMacs for editing the rushes and turning these into proper visual stories. 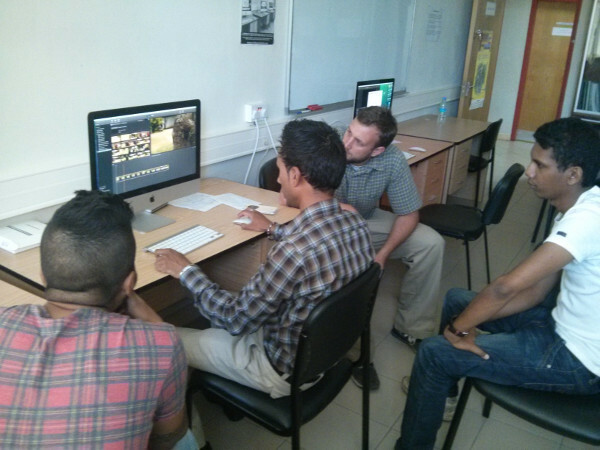 I assisted participants in their editing process where possible and we discussed the different ways of making the most of the images which were shot. 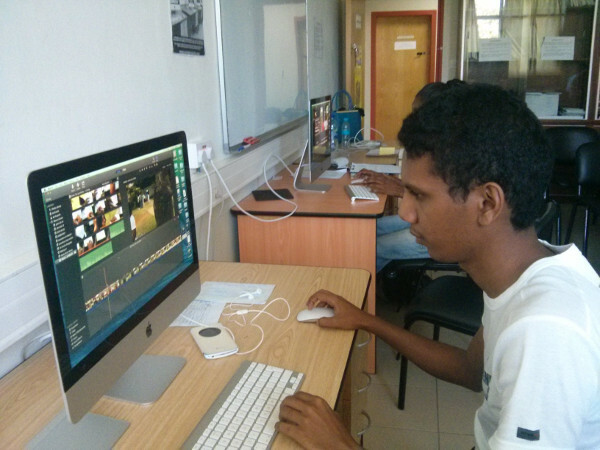 After a very typical Mauritian lunch at a snack serving chinese noodles (where we discussed Raiders, the state of Mauritian cinema and the history of government policy for cinema inter alia), we spent some 3 more hours in the Mediacom Studio to polish the edits. We then moved to LT2 where we viewed the 5 products together with some of the festival organisers and guests. I have to say that the participants all did a great creative job in just two days work. 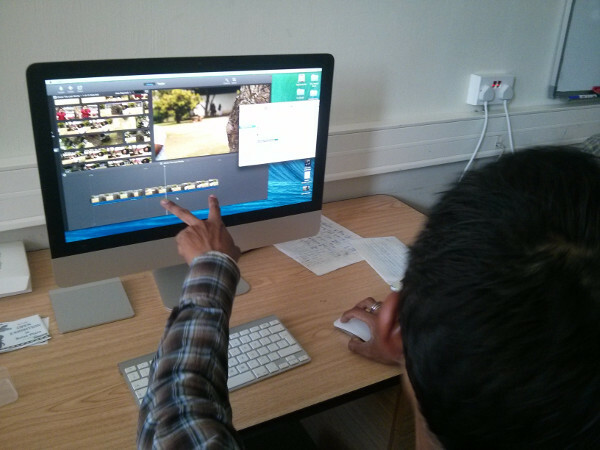 Ketan was of tremendous help throughout the day. 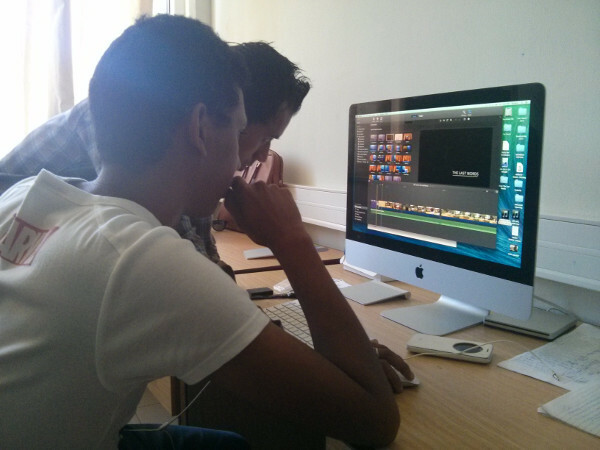 He gave some practical tips on how to use iMovie for quickly editing the rushes. 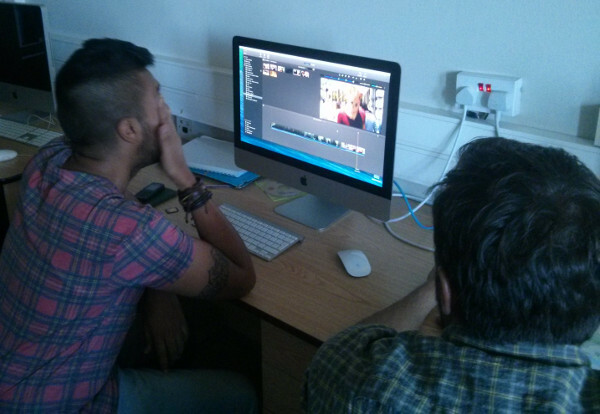 Sunveek, who has studied storyboarding in the UK and has also collaborated with Azim Moollan for Zegwi dan Pikan, was clearly well prepared and he was also very conversant with iMovie tricks. His film, Diversion, is a nice funny sketch which shows two friends who have to decide who gets the last chocolate from a box they’ve been sharing. The scenes were shot in the green area near the cafeteria. Olivier was very secretive about the ending of his film called The Last Words, which shows a young guy who is figuring out how to invite a girl. Only Ketan was allowed to see the ending before the screening, and we all really felt it was a clever one too when we finally saw it (with a nice ‘mise en abyme’ effect). The scenes were shot near RBLT and the famous blue caravan. 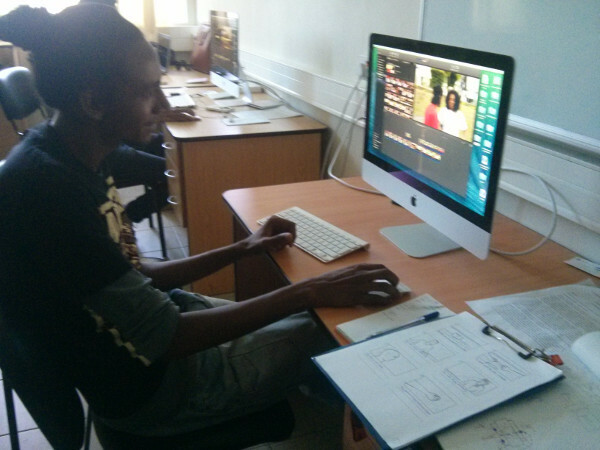 Cédric’s film, Eye Opener, tells the story of a couple. The husband, who is blind, has some doubts about his wife’s love. The film is a poetic and semi-mystical romance, nicely performed in a transformed NAC classroom and in the small woods near the administrative block. Ryan’s film, Smile, depicts a depressed guy who meets a seemingly depressed girl. A dark atmosphere is cleverly achieved for the first part of this allegoric rendition within the corridors of the Faculty of Engineering, while the sunnier part is shot near the former School of Agriculture stone building. 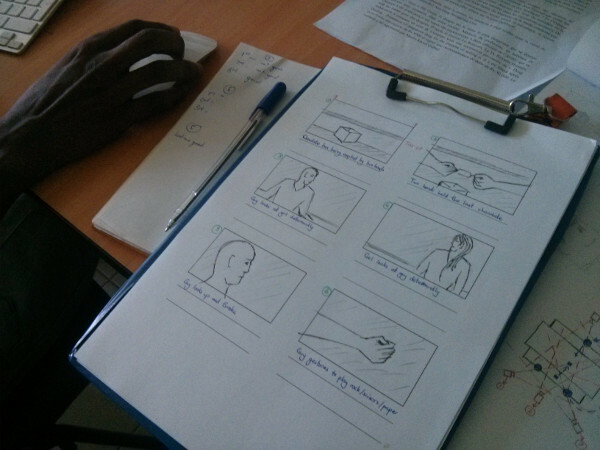 Naresh produced I am both a story about a confused young girl, an interesting incursion into duality and ambivalence. He used his iPhone and edited on his own MacBook. He shot near POWA and in the university washrooms in just half an hour. Hopefully, they will all post their short films online very soon so that they can be viewed!